The Funtober pumpkin patch directory lists more than 700 farms and other locations across America offering pumpkin picking and pre-picked pumpkins in late September and October. Over the past five years, we’ve searched the United States for pumpkin patches and found at least one pumpkin patch in 49 out of the 50 states. Oh, Alaska, how you elude us. 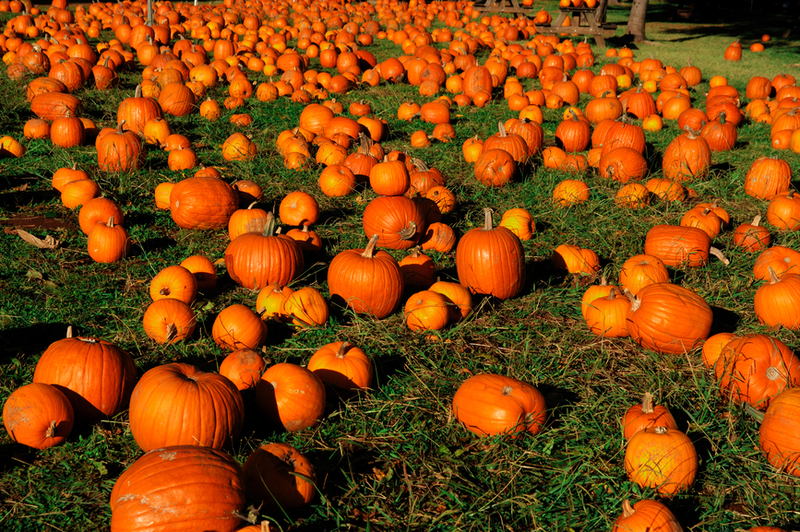 Pumpkin Farm Owners: We welcome listings and advertisements from pumpkin patches. Please view our advertisement information or contact us. It’s not Halloween without pumpkins. Carved jack-o-lanterns decorating doorsteps have long been a Halloween tradition. And you’ll find pumpkin-based recipes at many restaurants when Autumn rolls around, allowing you to start your day off with pumpkin pancakes and finish off an evening with a slice of pumpkin pie. The pumpkins ripen in late September and October. When the fields become dotted with orange, hundreds of farms in the United States open up their doors to families to stroll through their pumpkin patch in search of their favorite carving material. Enjoy the scenery on the hayride out to the u-pick pumpkin field, take some photographs in the patch, and create wonderful family memories that will last for a lifetime. As you look for the perfect pumpkin, don’t forget our tips to selecting a pumpkin for carving. When you return from the field, stop in their farmer’s market or country store where you’ll most likely find delicious apple cider, homemade donuts or other tasty baked goods. Once you’ve returned home from the pumpkin patch, take a look at the extensive resources we have put together about cooking, carving and painting pumpkins.